Crabs, Running Skirts and Babies. Today was my first no-babysitting, no-school day and it was… weird. I didn’t know what to do with myself. I got up, went for a run, sat around in sweaty clothes and watched crappy tv, cleaned the office, showered, did laundry, and watched more crappy tv. Why is all daytime tv about babies?? I must have watched 8 episodes of A Baby Story and 4 more of some show called Bringing Home Baby. I finally dragged myself out of the house at 4 for a couple of errands. Sports Authority for running gear (nada), Sam’s for produce and dinner stuff (more on that later) and then Target to see if they had better running clothes. I finally broke down and bought something that I’ve been dubious about for a long time: A Running Skirt. I see these at races all the time and they look comfy, so I’ll try it out tomorrow and see if I get heckled. It feels really… short. What’s the consensus on these? I was all set to suggest going out for dinner, but while perusing Sam’s I saw some really huge portabella mushroom caps. Then I remembered that we had all of that leftover lump crab meat in our fridge. And dinner was born. Here’s a really vague recipe- I didn’t measure anything! But it’s really good, so try it. Saute 1/2 chopped red onion and 2 minced garlic cloves in olive oil until onions are soft. Add chopped fresh basil and cook a couple more minutes. Add S&P. Put onion mixture in bowl and add lump crab meat. I have no idea how much I used- just eyeball it. Add about 1/2 C bread crumbs and 2 Tbs egg beaters. Stir. Stuff mixture into 2 large (or 4 small) mushroom caps. Cover with foil and bake at 350 for 20 minutes. Remove foil and bake another 5 minutes. Set oven to broil. Top mushrooms with marinara sauce and sprinkle with mozzarella. 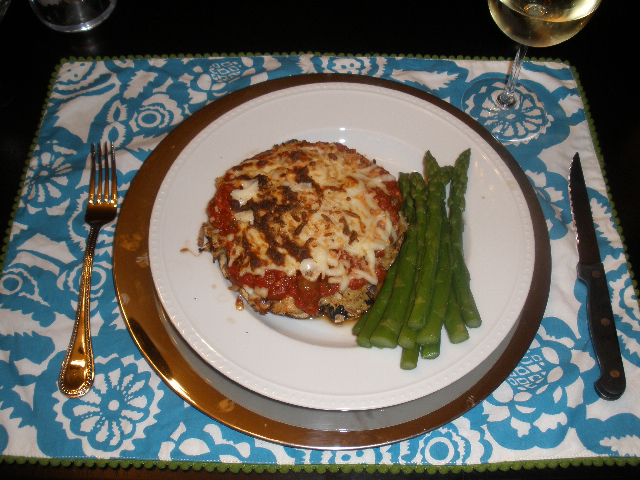 Put under broiler, uncovered, until cheese is bubbly. Tomorrow I have to be up bright and early… 5:15! I’ve decided to finally commit to running my first full marathon this year (White Rock Marathon- December 14!) and I’m meeting friends at the track in the morning to do speedwork. I haven’t done 400′s since high school so this should be interesting. And by interesting, I mean very, very sad. 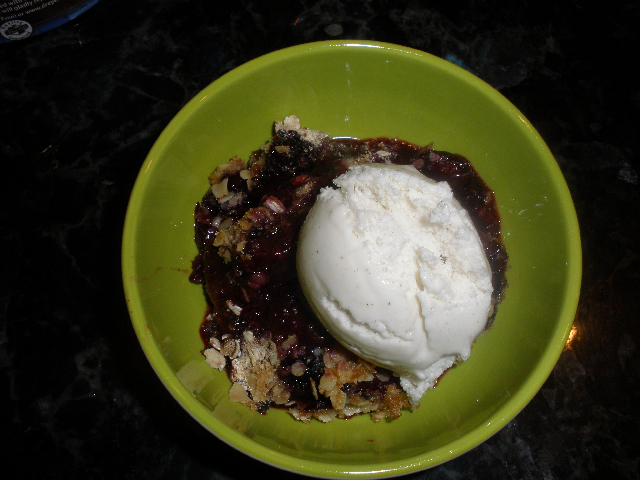 This entry was posted in August 2008 and tagged Cooking, Dessert, Recipes, Running. Bookmark the permalink. 0 Responses to Crabs, Running Skirts and Babies. So, these running skirts…….uh, so what do you wear underneath? Just curious. I have been curious about these running skirts… please let us know what you think of them after a few runs. Way to go on running that Marathon! You’re starting at a perfect time and seem to have plenty of time to train… You’re definitely making me want to run a race. Oh, and thanks for the advice on my blog about my gym. I don’t think they’ll let me do that (because they love to take your money), but I will check! I’ve been curious about the skirt thing too, especially after the article in this month’s Runners World. I was headed to sports authority for some new running gear, looks like I may just stick to Target- thanks! Congratulations on making the marathon commitment, you can definitely do it! I would love to attempt one soon, but I have a feeling that when school picks up I’ll be quite busy again. I’ll just stick with 5ks and the like for the moment. Last, our house is on Cedar Creek! It’s in Star Harbor, which is really in Malakoff but so close to Mabank. Small world, eh? Dude, I am still full from that mushroom last night. What a monster. I hope that my saying I’m too busy to attempt a marathon didn’t come out wrong- it’s just my cop out because the idea of one still frightens me. I know you’re a busy gal and will be able to tackle it! I look forward to hearing all about it! Running Skirt Update: It was super comfy but the shorts inside had some riding-up issues. I think it might be a little too big, so maybe after I wash it it’ll be a-ok.
Molly- No, not at all! Believe me, if I had asked Brian to train for a marathon with me during law school, his head would have exploded (both from being busy with school and from hating running with a burning passion). 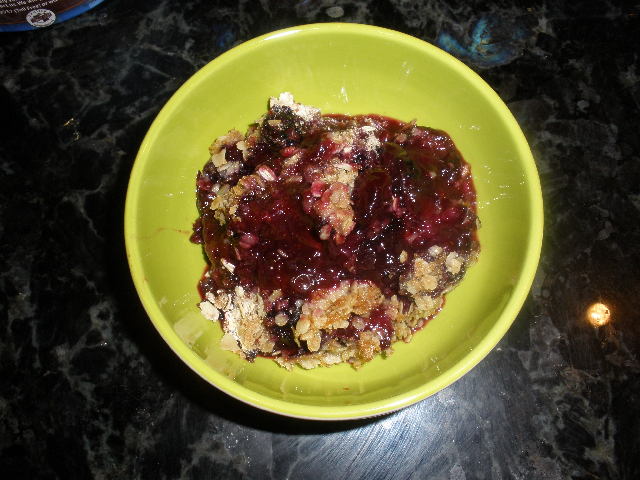 I love blueberry crisp!! Did you make up the recipe yourself? Please share if you did, it looks delicious. Thanks for always answering my questions! And congrats on starting to train for a marathon! How awesome. For now i’ll stick to my 5k races, but hope to complete a marathon sooner than later. 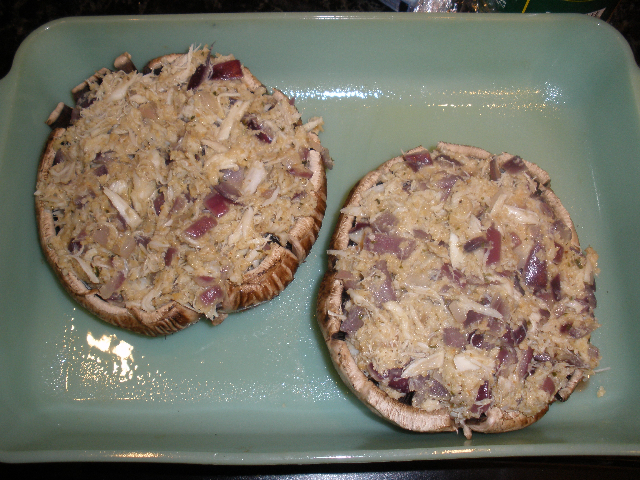 And your crab-stuffed portabellas look amazinggggg!!! I’m drooling. That is great about the marathon! I can’t wait to see how your training goes. Let us know about the skirt as I’m curious myself. I am glad you broke down and bought a running skirt. I hope the wash helped it out! BTW your blog keeps me rollin when the two babies are screaming . Miss you!